Devon Cars are your local minicab provider. We are located at 7 mins driving distance from West End Lane, giving you the best prices in town. At Devon Cars we believe in offering great value fares to all our customers. We would not wish for you to be wasting money on over expensive minicabs in West End Lane or in surrounding areas. .
Devon Cars can take you straight to the heart of the action in fashionable Kensington – a comfortable taxi is just a phone call away! Shoppers will enjoy a trip down Kensington High Street, while culture vultures will appreciate the grandeur of Kensington Palace and the historical significance of the Albert Memorial, Serpentine and Kensington Gardens. Other nearby must-sees include the Natural History Museum and Science Museum, both free to enter and utterly fascinating. The Royal Albert Hall hosts a wide programme of concerts, talks and other events and the Victoria and Albert Museum houses some of the most fascinating artifacts from the British royal family and wider constitutional history. 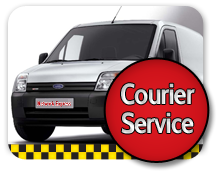 Door to door service - We can get you to and from your hotel at any time, with our 24/7 door-to-door minicabs in London. Need help to visit places or find restaurant in London we can help. There are plenty of great places to visit in London and we would love to get you to them. Standard Charges for tourists or local passengers - Don' get ripped off just because you're a tourist, get great prices no matter who you are. 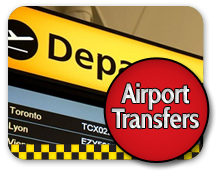 Airport transfer with fixed rate - Our fixed rate transfers include a free meet and greet service at the airport that will be both personalised and timely. Book a Devon Cars taxi to meet you from your destination and bring you back to West End Lane when you are ready to come home. Whether you are a tourist, business visitor or local, Devon Cars offers some of the best rates and customer service in West End Lane! Please note: all of the great services delivered by our minicabs aren't just for tourists, but they are for locals too. To take advantage of our brilliant prices, you can dial 0203 002 9190 -we're just a phone call away! 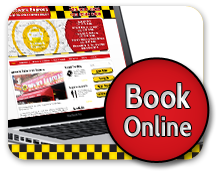 No matter who you are,or where you need to go, you should book with the best London minicab service in town- Devon Cars Minicabs!